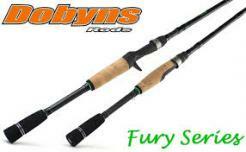 Shore jigging and popping rods designed with powerful yet crisp blanks, Fuji K Guides and Fuji reel seats. Fitted with Fuji K series SIC guides, split grips and powerful thin profile blanks. 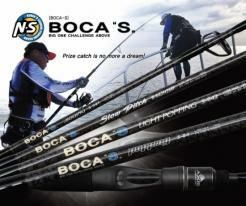 Two popping rods and two jig rods that will surprise you with their incredible fish fighting ability. 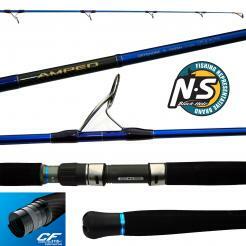 Advanced lightweight blank and top of the line components make the Medusa a rod worthy of any tournament angler! Available in spin and cast rods, featuring superb crisp blanks and the latest rod builds, they offer affordable high performance with the portability of a 2 piece blank. These spin and cast rods feature tangle free Fuji K Series guides, split grip cork handles, custom spin and cast reel seats with light and sensitive blanks.